Prince Harry will take part in a race to the South Pole with a team of wounded British servicemen and women. The 28-year-old will take on teams from the United States and the Commonwealth in the 208-mile (335km) Walking With The Wounded South Pole Allied Challenge in November and December this year. He said at a press conference in London during which the teams were announced: “So, it just remains for me to say to Soldier On Canada, Soldiers To Summits from the US and Soldier On Australia – welcome to the party.”As a member of the British team, I will have a brew ready for you when you join us at the Pole." Prince Harry, who took part in the charity’s trek to the North Pole in 2011, is already patron of the Antarctica expedition, but today he confirmed he will be taking part with Team Glenfiddich for the whole race. He missed out on a bid to conquer Mount Everest with the group last year because of his military commitments and he withdrew early from the successful North Pole expedition to attend his brother’s wedding. He said of the South Pole race: "The format may be different. The scale is certainly different. “But the aim remains the same – to enable our wounded to do what they and all other servicemen and women do better than anyone else I know – meet a challenge head-on and overcome it and inspire others to do the same. “Ladies and gentlemen, these men and women have given their all in the cause of freedom, in our cause. Prince Harry, who is known as Captain Wales in the Army, added: "So, what are these qualities? Courage, to be sure. Physical strength, endurance, a sense of comradeship, absolutely. “But there’s something else, something deeper than that. Something that continues to draw me back to this charity and these people time and again – and always will. The four wounded service personnel in the British team are Sergeant Duncan Slater, 34, from Muir of Ord in Scotland, who lost both his legs in a blast in Afghanistan in 2009; Major Kate Philp, 34, from Worcestershire, who lost her left leg after a bomb blast in 2008; Captain Guy Disney, 31, from Oxford, who lost his right leg in a rocket attack in 2009; and Captain Ibrar Ali, 36, from York, who lost his right arm in a roadside bomb in 2007. During the four-week Antarctic expedition the racers will drag sledges – known as pulks – weighing more than 150lb (68kg) and face extreme temperatures as low as -45C, along with savage 50mph winds. Prince Harry and his teammates will trek between nine and 13 miles each day, battle against extreme weather conditions and encounter vast crevasses, moving ice-shelves, glaciers and snow storms. The Prince has previously said his career in the army has given him a better understanding of charities for injured Armed Forces personnel and veterans. 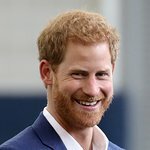 Prince Harry has been on a number of visits to hospitals and therapy centres where wounded servicemen and women are treated and rehabilitated.